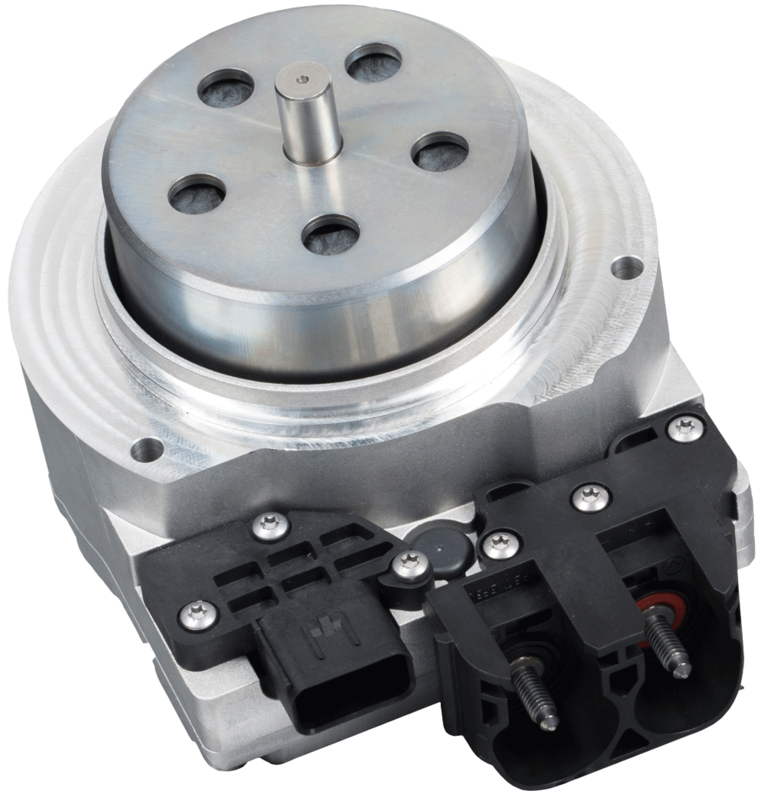 Do you need an efficient motor already compatible with 24 and 48 V power supplies? 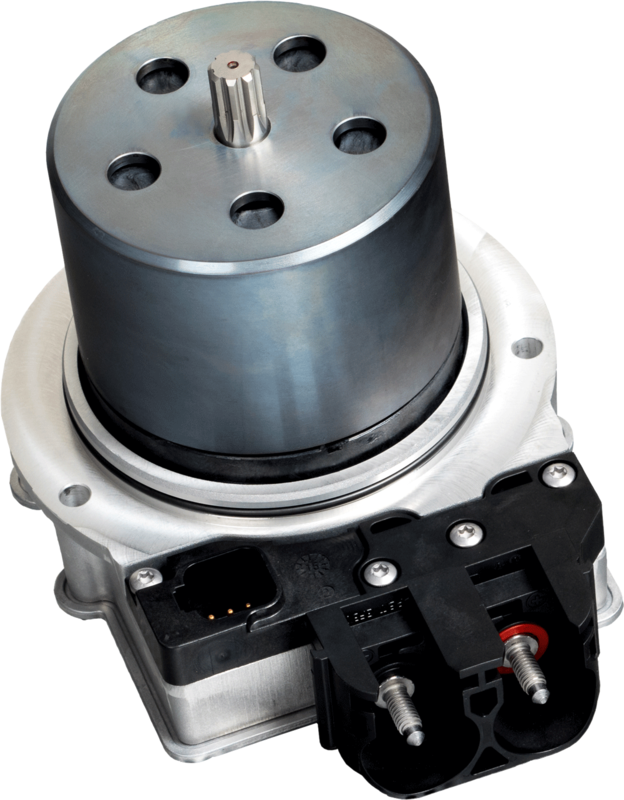 The CPM90 BLDC motor is your ultimate drive solution: you will get an outstanding motor, a boost capability and a versatile drive unit. 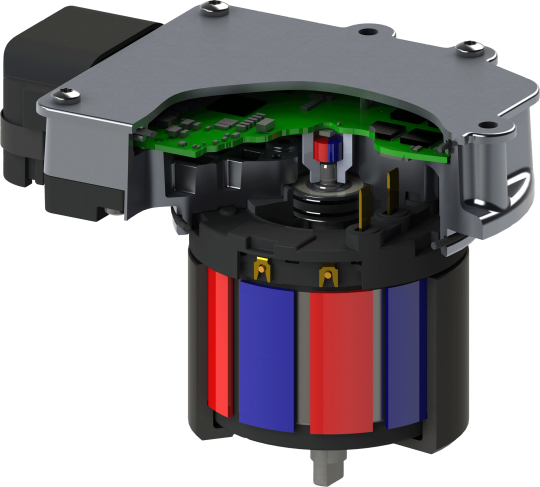 The CPM90 comprises a brushless, permanent-magnet synchro-motors as well as a fully integrated control unit. It is especially designed to combine highest performance with maximum efficiency for all low voltage applications (12 to 48V). 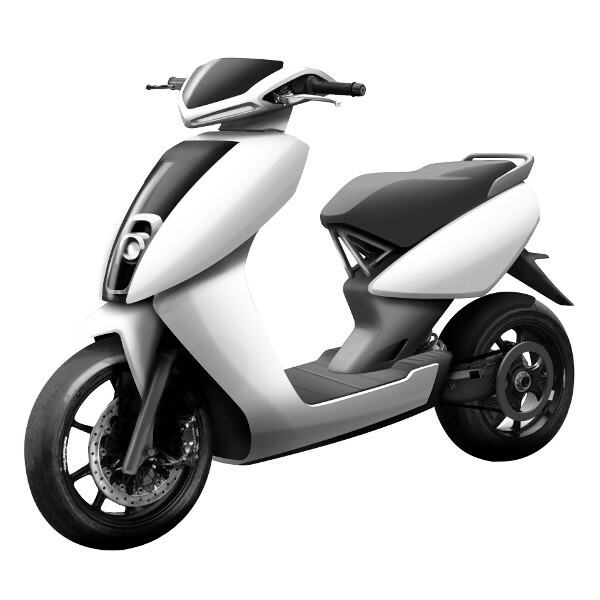 At up to 5 kW power and 14 Nm torque they weigh in at a maximum of just 3.3 kg and achieve an overall efficiency of over 90%. The CPM90 is capable of operation either as a motor or as a generator. The ability to accept and process any type of input signal means that the drive units can be ideally tuned to their current environment and are interoperable with a wide range of components. 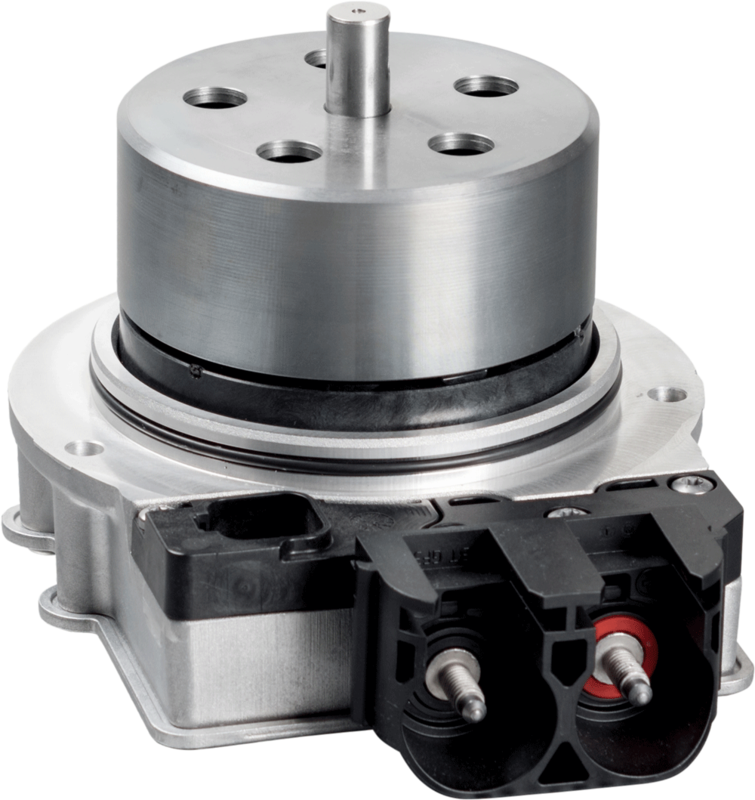 The drive units can thus be easily and proficiently adapted to any application and moreover obviate the need for any additional controllers. 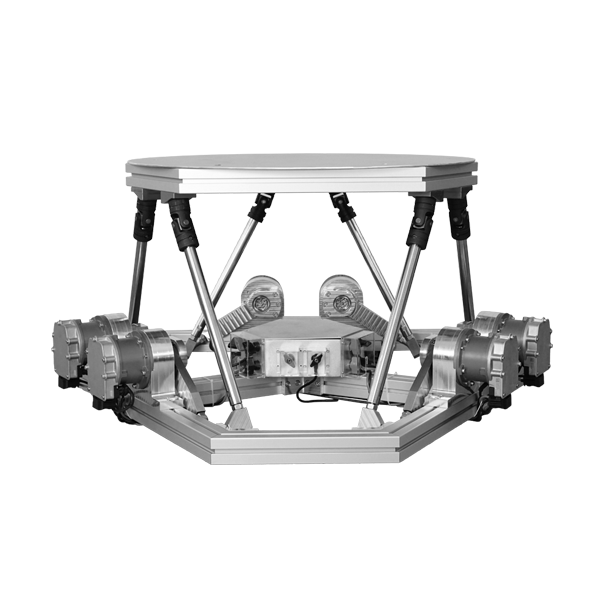 Our user-friendly control software Motion Workbench allows parameterization, analysis and even simulation in the intended environment. The CPM90 BLDC motor is suitable for all applications requiring high power at low voltage, working on batteries or mobile machines. 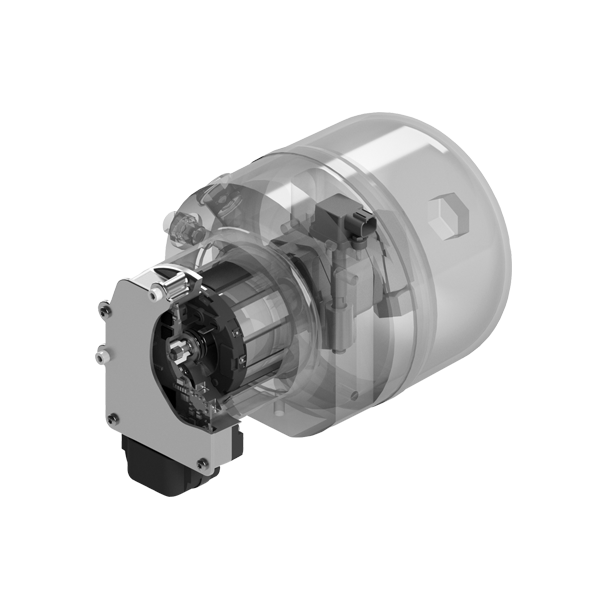 This high power BLDC motor can drive pumps, act as a traction motor and much more… it can meet many challenges and help you being ready for the electrification of your industry. The CPM90 motor is easy to control thanks to the Motion WorkBench software. 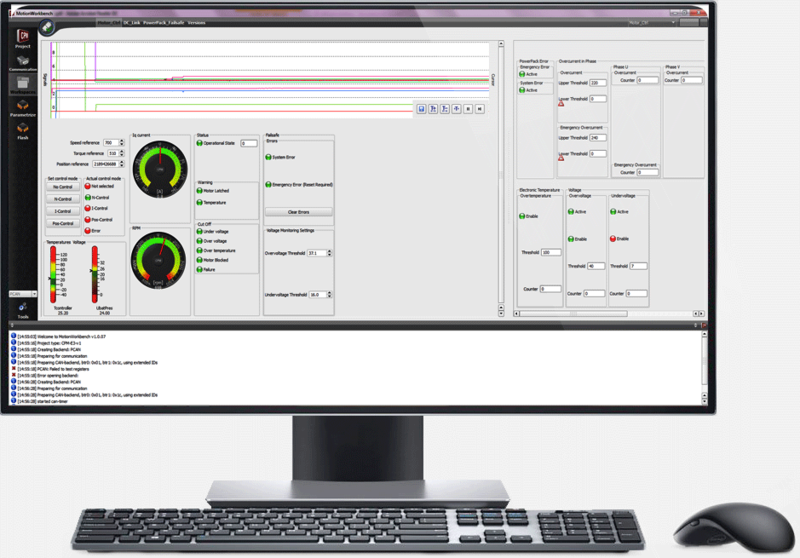 This proprietary user interface software makes the CPM90 easily to be started, customized, analysed and updated. Just plug and play! 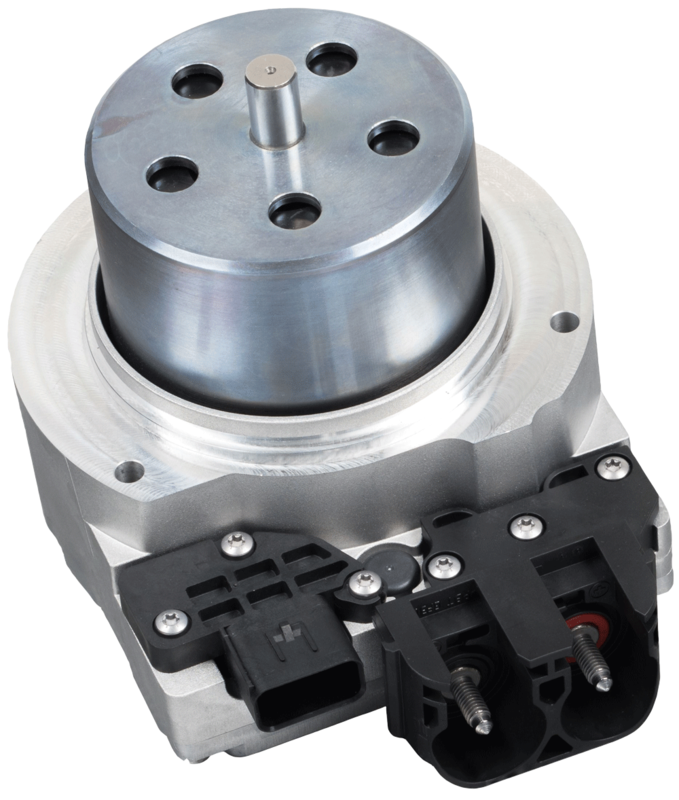 The CPM90 starter kit provides easy access to this motor technology and to the “Mind to Motion” expertise of Sonceboz. 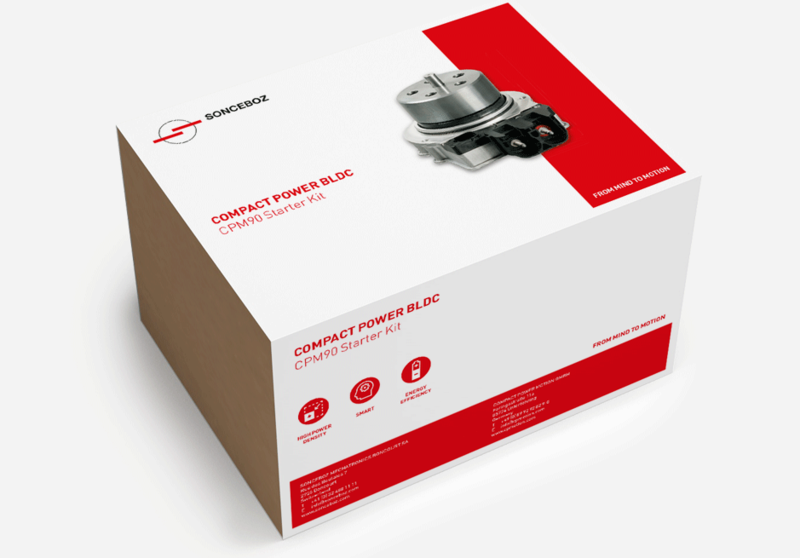 This plug-and-play package contains the Motion Workbench configuration software, connector cables for PCAN USB interface and an installation manual. Sonceboz is a Swiss technology company and a leader in flow control and mechatronic drive solutions designed to operate in harsh environments.